How can I purchase the KlevaKlip Joist connector? Can I use the Joist connector with joists of greater than 90mm height? Yes, the governing factor is 45mm in thickness, however there is no reason why the joists cannot be much greater than 90mm in height/depth (eg, 120mm, 140mm ). What sized bearers can I use for my Joist Connectors? Joist connectors are made in sizes to fit 90mm, 70mm, and 45mm bearers. 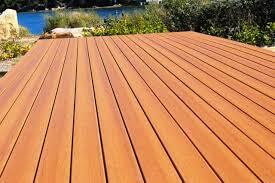 As with the joists, it is the thickness that determines the acceptability of use. The height/depth of the bearers can be of much greater than 90mm (eg, 140mm, 190mm, 240mm). Can I use the Joist connector with hardwood joists and bearers? Yes, provided they are of the correct thickness. However, please note that you will most likely need to screw into the joists rather than using connector or gun nails nails (and maybe even need to pre-drill). Can I use the Joist connector with steel joists and bearers? We have not researched all the thicknesses of steel joists and bearers, so haven't tested these as yet. There doesn't appear any reason why it shouldn't work, given flat sides to attach to. Can I simply stand the joist support on concrete and attach a joist to it? No, this is definitely not recommended and would most likely result in collapse of your deck. What is the tie-down capacity of the Klevaklip Joist connector? 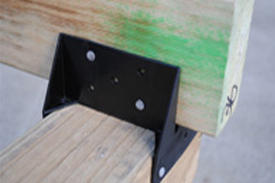 The Joist connector has a tie-down capacity in excess of 300 kg per connection at a minimum of two attaching (eg nail or screws) per side of each joist and bearer. 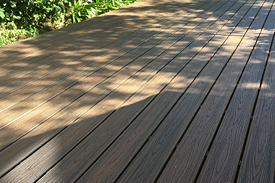 How to calculate how many Joist connectors are needed for your deck? 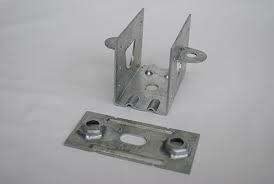 A Joist connector is required at every intersection of a joist with a bearer. 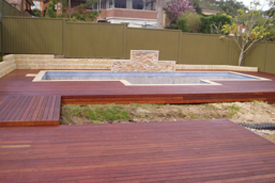 Therefore to work out how many joist connectors are required for your deck, simply multiply the number of joists by the number of bearers that are planned for your deck. How many fixings are required to connect my joist connector to my bearer? How many fixings are required to connect my joist connector to my joist? The Joist connector appears very strong. Is there any way I am likely to damage it? Yes, the Joist connector is very stiff and strong. However a sharp blow with a hammer can still cause it to crack or break. When inserting the nails into the joist with a hammer (not so much of a potential problem when using a nail gun), you should always ensure you brace against the opposite side of the joist with your foot or body, as you would have normally done when skew nailing a joist to a bearer. This will protect the joist connector from having to absorb the sharp impact of the hammer. My bearer is actually only 88mm square instead of 90mm square. Is this a problem? No, it is fairly standard in Australia to have 88mm square posts. These are often used as bearers on decks. It is not a problem to use these with your JC9045 Joist connectors. How much height does the Joist connector lift the joist off the bearer? The bottom ridges of the Joist Connector are 4mm high, plus the thickness of the nylon material is 2mm. Therefore the total height from top of bearer to bottom of joist is 6mm. You need to take this into account when building your deck.